The GIS Research and Map Collection (GRMC) on the second floor of Bracken Library includes thousands of maps of Africa and the Middle East that could be used in research and learning. This collection includes a large collection of maps of Libya. The GRMC has a set of topographic maps of Libya at 1:100,000-scale. 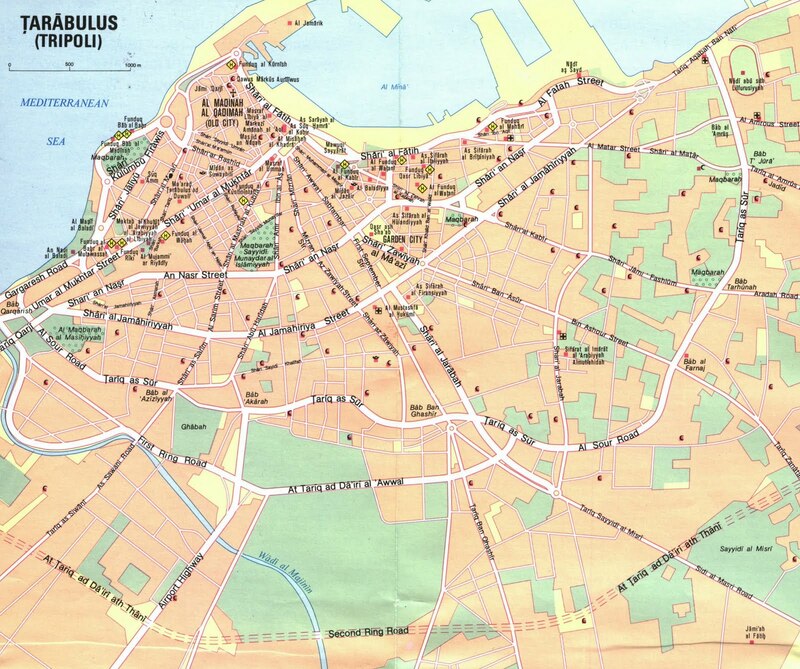 A set of historic Army Map Service topographic maps of Tripoli at 1:5,000-scale is also included in the collection. The Central Intelligence Agency published maps of Libya depicting ethnic groups, economic activity, and population of the country. An inset map also shows Libya in relation to the size of the United States. 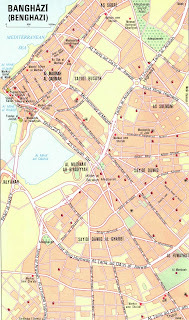 A 1991 travel map of Libya includes inset maps of Tripoli and Benghazi (shown above). A map of the Sahara Desert from 2006 also includes an excellent map of the coast of Libya. Another map shows the oases of the Sahara Desert located throughout Libya. 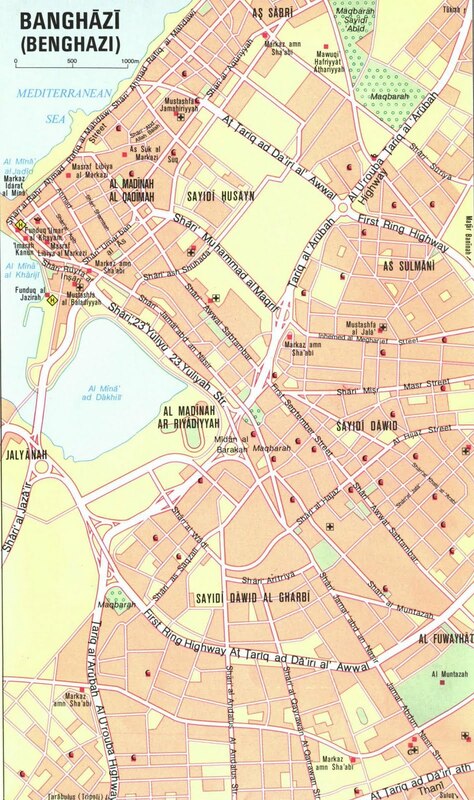 City plan maps of Benghazi, Tripoli, and Derna are also included in the collection. 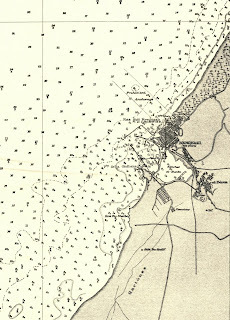 Nautical charts of the coastal cities of Libya offer detailed maps of the cities. 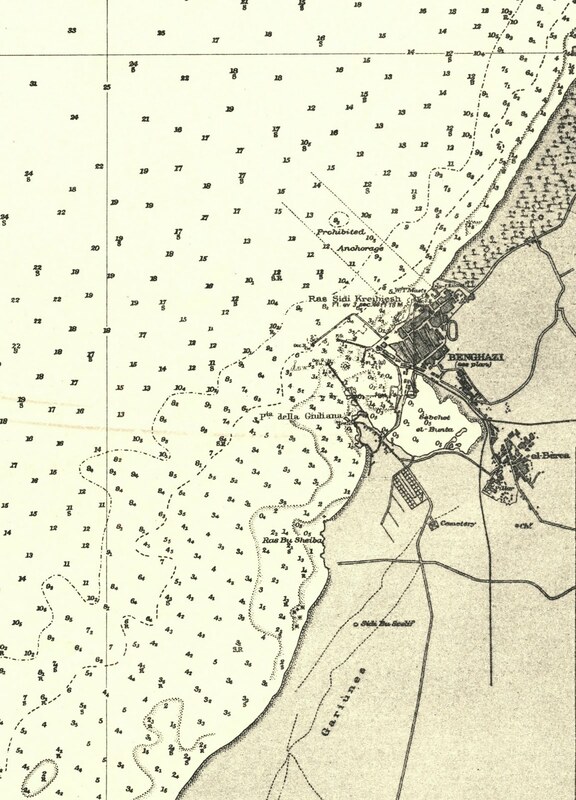 The GRMC also includes a historic nautical chart of Benghazi (shown above) from 1931 that was published by the Italian government and later used during World War II by the German government. Other historic maps in the collection show Libya as part of the Italian colonial empire. The entire collection of maps of Libya in the GRMC has not yet been cataloged, so many will not appear in the University Libraries’ CardCat system. Please contact the GRMC or visit Monday through Friday from 8 to 5 to see this array of maps. 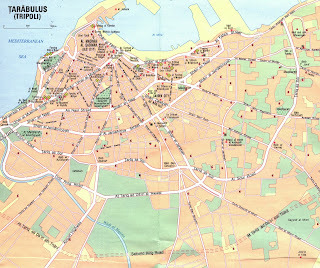 All maps from the GRMC circulate for two weeks or longer.